Another new set arrived today as a surprise from my wife (who said wifes aren't a useful thing! ). And what a set indeed! 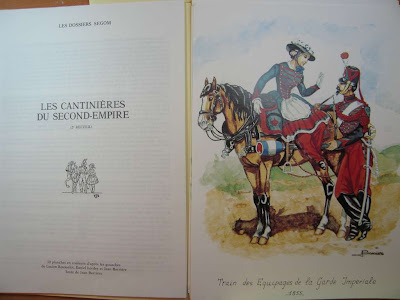 Actually it is 2 sets from the French Segom (serie No 21 and serie No 25) depicting cantinieres of the 2nd empire of various regiments. 1) Grenadiere de la Guard. 2) Artillerrie de la Guard. 3) Voltigeurs de la Guard. 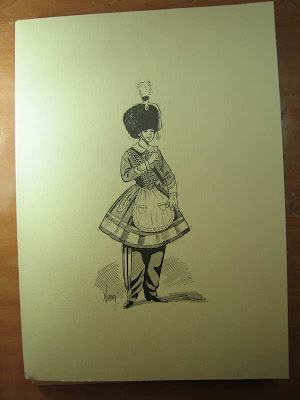 5) Zouaves de la Guard. 6) Chasseurs a pied de la Guard. 7) Lanciers de la Guard. 8) Guides de la Guard. 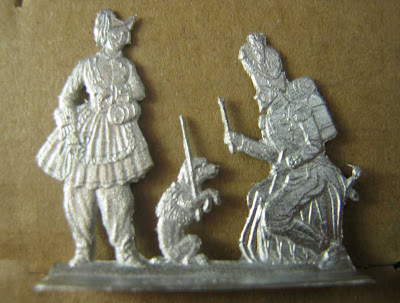 1) Chasseurs a cheval de la Guard. 3) Cuirassiere de la Guard. 5) Train de la Guard. 6) Gendarmerie de la Guard. 7) Genie de la Guard. 8) Spathis de la ligne. 11) Dragons de la ligne. Detail is really good in designing and engraving with almost no flash. Detail is very good with faces full of character and hands representing what they suppose to represent: hands and not blobs of metal that need painting to show what they are.I am not 100% sure for the historic accuracy in detail since I haven't looked at them closely along with my references yet, but I'm sure it will be excellent. 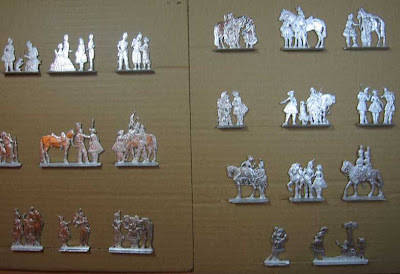 In my opinion, the fact that they come in pairs with a man from their regiment, will produce a really lovely result when they are all painted and displayed together. Some of them come along with a small child interacting pleasingly with the pair. Nice touch.Another strong point is the references that they come with. An A4 four page leaflet along with excellent plates for each of the figures in A4 format and in full color. Jean Barriere, owner of Segom have done a great job on this, setting the golden standards for all other flat manifacturers and sellers. This is what it should be when you're getting a historic figure in whatever form it is. Here are the two sets as they came packed with that plastic bubble thingies inside their cardboard boxes. Close detail of one pair. All references and plates came into these A4 envelopes. An example of a plate. In A4 format they are so nicely detailed that you virtually don't need any other reference besides the plate. Price for both sets was 120 euros plus 10 euros for posting to Greece. Considering what these two sets offer, along with the maginificent plates, I believe its more than fair.All in all, if I had to grade it I would put a 10 out of 10 easily and without second thoughts.